How to tell if your partner has OSA? If your partner snores loudly, gasping for air in his sleep, or even stoping his breath for more than 5 seconds, then your partner may have one of the most common sleep disorders: obstructive sleep apnea. Although OSA looks similar with snoring (until you see your partner without breath), the disorder is pretty dangerous to the patient's life. OSA can cause adverse effects on health, such as: diabetes, morning headaches, heart attacks, stroke, depression, impotence, etc. The untreated OSA can cause death. Fortunately, obstructive apnea can be treated with a variety of methods. If you have a mild or moderate case, you can treat OSA with CPAP machines or with natural remedies. However, serious cases need severe treatments such as surgery. Don't be surprised if you never heard about this sleep disorder before. OSA was first discovered as a serious health problem only over half of the century ago. Even today, many doctors don't know too much about it. More precisely in 1956, a doctor named Burwell and his colleagues used the term Pickwickian Syndrome to describe obese patients with sleep problems (excessive fatigue, drowsiness). Pickwickian is a term that comes from Charles Dickens' The Posthumous Papers of the Pickwick Club from 1837, where the writer describes the character Fat Boy Joe as an obese with a tendency to fall asleep anytime and anywhere during the day. Today doctors know that overweight and even thin people can have the same sleep problems. You don't have to be obese to have the symptoms described by Dickens. In fact, scientists know that only 10% to 15% of the total number of patients with OSA have Pickwickian Syndrome (obesity with obstructive sleep apnea). is estimated that 24% of men and 9% of women between 30 and 60 years old have OSA. approximately 9% of men and 4% of women have at least moderate OSA, where AHI (apnea hypopnea index) is 15 to 30.
in other words, about 1 in 5 adults has a mild case and 1 in 15 adults has moderate OSA. because OSA is so difficult to detect, 70% to 80% of patients remain undiagnosed. OSA can progress with time. A 8 year study of 282 patients showed an increase in AHI from 2.6 events per hour to 5 events. In obese patients the AHI increased from 4.8 events per hour to 10.1. Why Do I Have Obstructive Apnea? 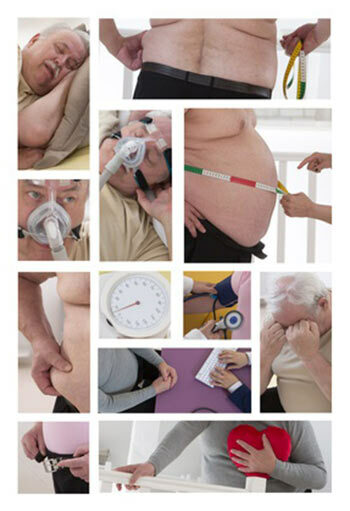 Obesity this is the most common cause of obstructive sleep apnea. Few obese people get away with it. In fact, 40% to 90% of moderately overweight or obese individuals have OSA. More precisely, if your BMI (body mass index) is greater than 30, you should get tested for sleep apnea. Why Obesity is an Important Risk Factor for OSA? Simple! The fat distribution increase the neck circumference and the upper body. Is harder to breathe with fat deposited in the upper airway. This type of obesity is more common in men. Women have fat located to the hips and thighs, so men are in majority to have OSA. The thicker the neck, the bigger chance to have obstructive sleep apnea. If neck circumference is greater than 44 cm (17.5 inches). Aa short and thick neck is another important risk factor for OSA. 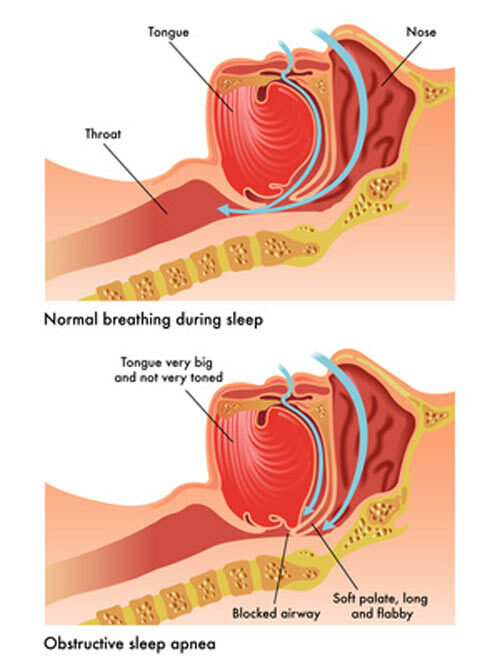 Usually overweight or obese individuals with fatty tissue in their throat is a sign that they may have heavy snoring and possibly obstructive breathing during sleep . Are you a female? If your neck circumference is more than 40.6 cm (16 inches), you are at risk of having sleep apnea. Postmenopausal women are in risk of having obstructive sleep apnea. Genetics plays an important role here. If one of your parents have OSA, you are in risk, too. Eelderly people over 65 years have a decreased muscle tone in their throat. Did you notice that your grandparents snore loudly than before? Due to decreased muscle tone, the tissue from their throat can collapse in their sleep and close the airway. They are two times more likely to have OSA than white people. This is due to cranofacial differences, such as a narrower cranial base, which causes the tongue and uvula to be bigger in their throat. There is so much more to say about the risk factors of OSA. 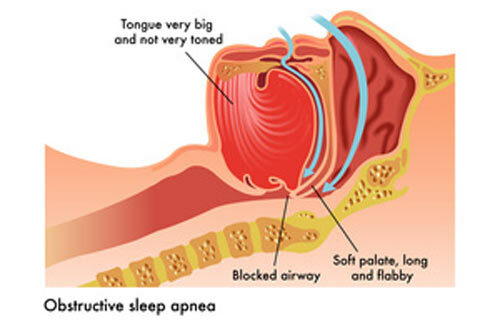 For more info, see Causes of Sleep Apnea. How Does OSA Looks Like? Just watch the next video. If a picture is worth a thousand words, obstructive sleep apnea videos can sometimes leave you speechless. To see real people filmed while having apnea episodes during sleep, please read What is Sleep Apnea. Did you know that it's very difficult to diagnose obstructive sleep apnea without help from a bed partner or doctor? If you're lucky enough, your bed partner will see that you have breathing problems in sleep, like loud snoring or pauses in breathing. 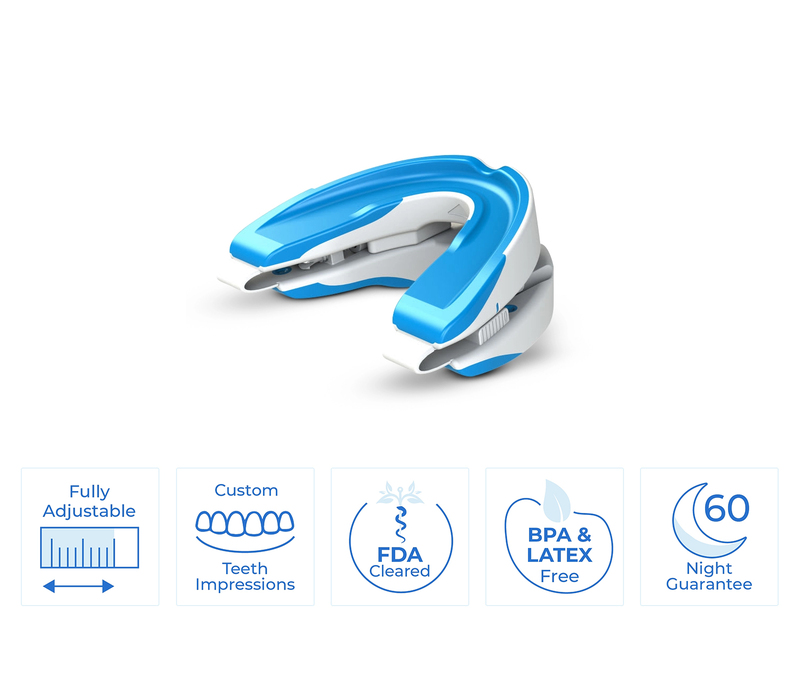 Find if You Have Obstructive Apnea or Only Snoring! Here a short explanation of obstructive apnea diagnosis for your bed partner or whoever lives with you. Your partner may need the info to understand the severity of your sleep problems. It is very important for a doctor to determine very carefully which of the factors described in this article are responsible for your OSA, to choose the most effective treatment.